Bonita Isles is one of the newest communities west of I-75 in Bonita Springs Florida. The appeal of Bonita Isles is it’s location and the design of the homes, the amenities and there is no CDD. Built by Minto communities, the homes and villas at Bonita Isles feature the newest, most modern floor plans and design appointments. There are both attached villas and single family homes for sale at Bonita Isles, but no condominiums. 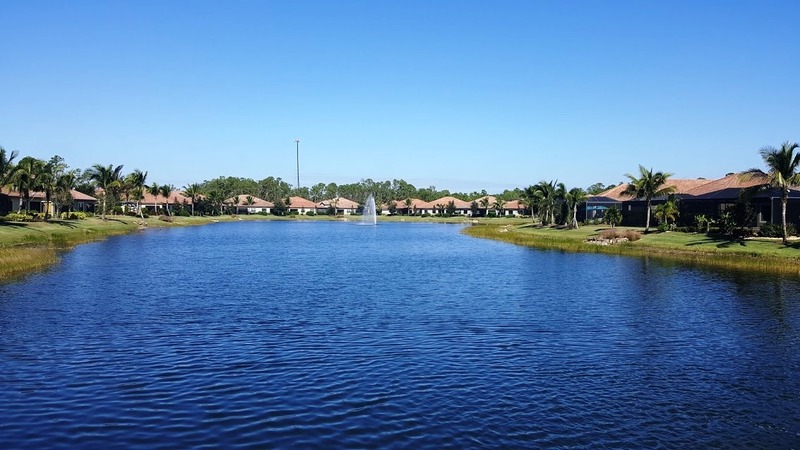 Views from homes at Bonita Isles include lake, landscaped area or wooded area. Square footage of homes range from about 1500-2400 sf of living area.Since there is no golf at Bonita Isles there are no golf course views. There is a community center with meeting room, fitness equipment and tennis. The community is gated and has only 225 residences. There is only one street, Isla Bella Circle, on which all homes are situated. Bonita Isles is located at the North end of Old US 41 Road which offers swift access to Coconut Pointe, Bonita Beach and many other conveniences in Bonita Springs area. Communities similar to Bonita Isles include Hawthorne, Paloma and Bonita Lakes. Bonita Isles is sold out and only offers resale homes and villas. To learn more about Bonita Isles or to tour homes, call or text Chris Griffith at 239-273-7430.